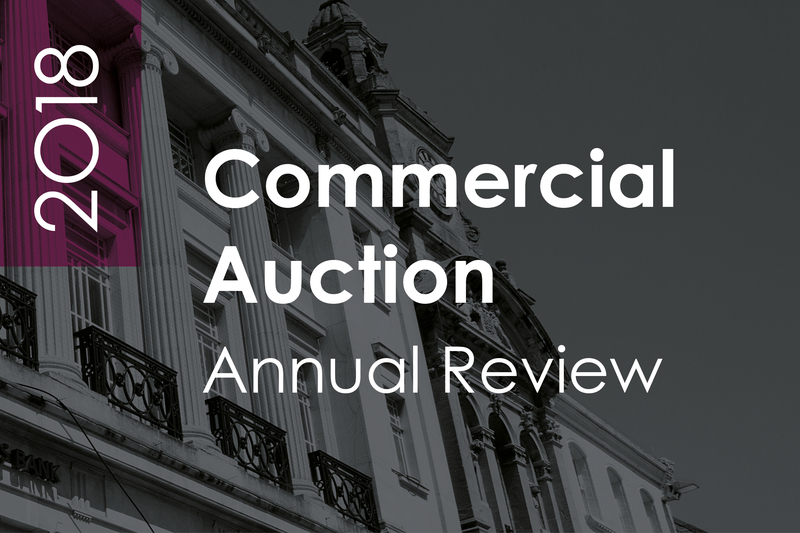 Allsop, the UK’s largest auction house, reports in its 2018 Commercial Auction Annual Review, that it raised £518 million from 861 lots sold with an average lot size of £601,000 and achieved a success rate of 85%. Although wider market conditions were tough, strong demand remained for well-let quality retail assets and alternative investments such as convenience stores and medical/dental practices, which offer a degree of future-proofing from the turbulence on the high street. October 16th was the biggest auction of the year, offering 270 lots and total sales of £115 million with a success rate of 81%. This is attributed to a combination of the Bank of England raising interest rates by 50% to 0.75% in August and its signals of future rate rises, downbeat news emanating from the retail sector and increasing uncertainty surrounding Brexit, undermining investor confidence. Given this background, defying expectations, Allsop’s December auction was one of the year’s strongest with total sales of £76 million and a success rate of 90%. Despite retail gloom, in its analysis of lots by property sector, retail investments at £371 million by value were the highest proportion of total assets sold during 2018, at 73%, an increase compared to the 65% average taken from the previous four years. Office and industrial investments accounted for a slightly reduced share of the total sales at 15%, compared to the 18% average of the previous four years. This is thought to be a result of investors continuing to hold on to industrial assets. Alternative investments accounted for £66.5 million or 17% of assets sold. Well-let stock was in strong demand and despite the challenging climate and shortage of quality stock, overall retail yields eased out to 8.3%. A-Grade assets stayed steady at 6%, underlining the long-term appeal of the sector. In the case of regions, sales volumes of London and South East assets accounted for 48% of the total, an increase compared to the previous year of 45% and representing a return to the 48% average over the last four years. Increasing levels of activity were seen in the North East, East and West Midlands at 28% of the total, compared to 23% in 2016. Allsop’s auction buyer survey revealed 44% of buyers live within the same region as the property purchased, an increase from 37% of last year. This is attributed to investors seeking to reduce risk by investing in areas they know rather than further afield. Furthermore, there was an increase in new buyers to the auction room, accounting for 19% of buyers compared to 15% in 2017 and the highest since 2015. This is partly attributed to former buy-to-let investors investing in commercial property to maintain exposure in real estate. Overseas buyers have increased to 8% compared to the 6.6% average taken over the previous five years, a likely result of the fall in value of sterling, making UK assets more attractive for overseas buyers.